All that's wonderful about fall is the warmth in its colors. 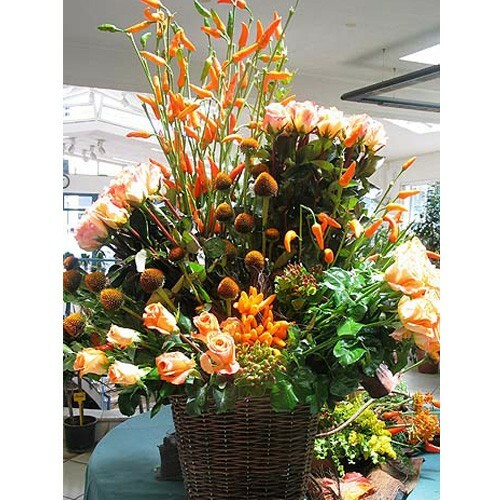 This best selling arrangement is perfect for the fall season with 96 orange roses, capsicums and greenery beautifully arranged in a basket. If you're not so fond of the color orange, feel free to replace the orange roses with other colored roses. This fall favorite will deliver an extra shot of seasonal joy to birthdays, warm wishes, congratulations, and other celebrations. Quantities 96 orange roses, capsicums and greenery. Special Conditions Feel free to change the color when ordering.